State Bank Freedom gives you full freedom to do digital banking directly from your smartphone. This Application available for Android, iOS and windowsphone. 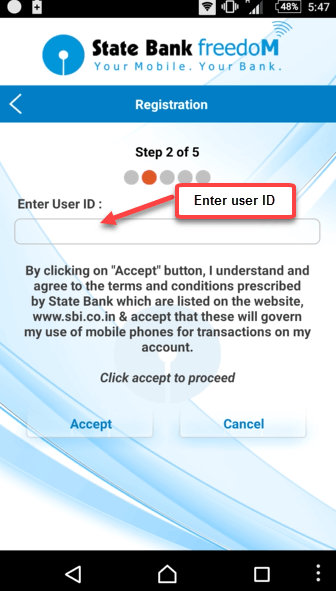 With State bank freedom application you can do many banking related works online using your smartphone, it is very easy, light weight and trusted app. The main thing you can do with this Application is – Fund Transfer, with SBI Freedom you can transfer fund to any account very fast and hassle free. Many SBI users don’t know how to Register with SBI Freedom so today i show you how to register with SBI Freedom in step by step guide. So let’s start the process, the process is very simple and you need to follow just few simple steps. 1 First open your message box and create new message. 2 Open SBI Freedom Application and tap on Register. 4 Now enter your user ID and tap on accept. User ID: Enter your user ID here which you received recently. 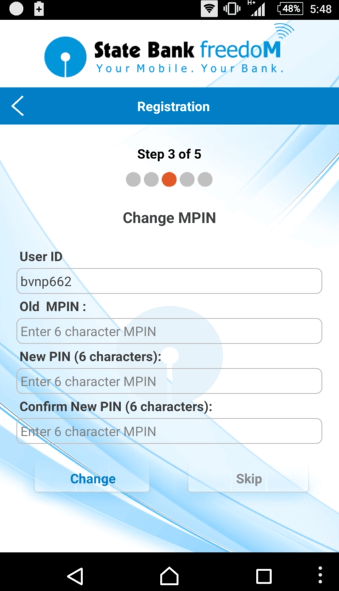 Old MPIN: enter default MPIN which sent on your mobile. 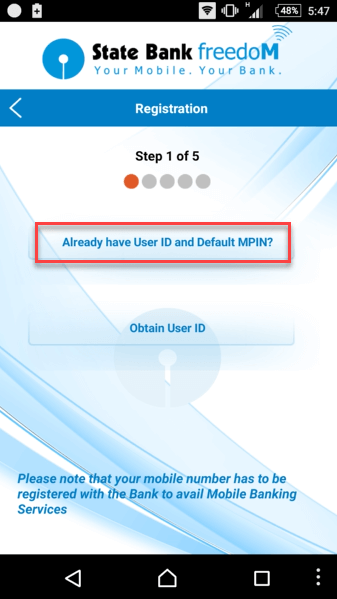 New MPIN: Now set your new MPIN which contain 6-digit. 6 Next screen tap on Activate. After successful GPRS activation, you need to complete last step. 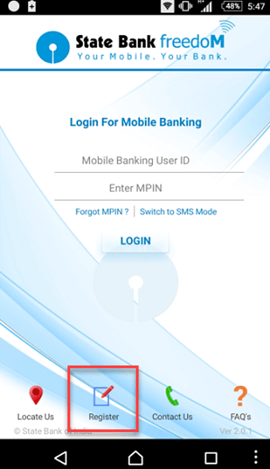 You need to activate Mobile banking through Internet banking or at ATM machine. 7 Login to your Internet banking. After login click e-Services tab. Now click State Bank Freedom option. Enter your User ID and Mobile number and then click submit. Next enter your profile password and you are done. You are registered successfully with SBI freedom and you can now login to use the Application. If you don’t have Internet banking then you can visit SBI ATM, swipe your card and login. Choose ‘Mobile Registration > Mobile Banking Registration > Registration’ and enter your 10 digit mobile number, which should be already registered with the Bank. That’s all. 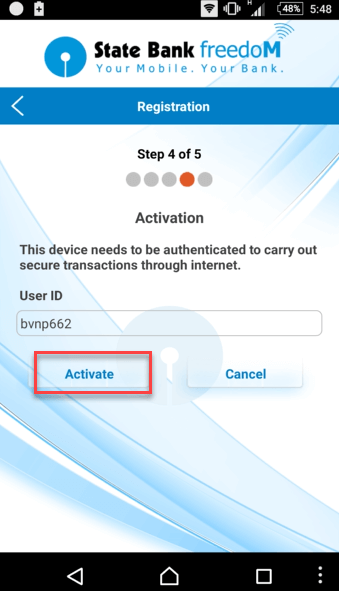 So this is simple process to Register with SBI freedom mobile banking. please follow every step so you don’t face any problem. i have already User id and Mpin while login time error generated due to technical issue please try after some time ,what should i do? Hello, please enable net banking facility and install SBI Anywhere. SBI freedom is discontinued.